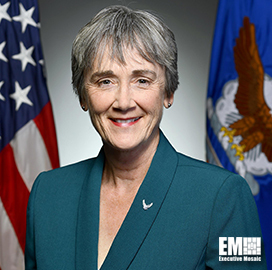 Heather Wilson, secretary of the U.S. Air Force, said the service will continue advancing its space capabilities amid the Trump administration’s push to reorganize the Pentagon and establish a Space Force, SpaceNews reported Monday. Wilson said the Air Force is working on programs and tactics to protect U.S. satellites from adversaries. In 2018, the Air Force Space Command launched a series of wargames and simulations preparing for threats in space over the next two decades. Wilson also said the service is changing its culture in developing, acquiring and fielding space technologies. 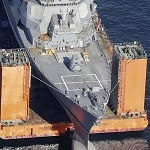 The Air Force is joining other military branches and federal agencies in utilizing Other Transaction Authorities for rapid prototyping and to increase partnerships with the industry to deploy new technologies faster. “The way you change culture is you change patterns, put in place the authorities, change how the instructions are written, then you train and develop people to those expectations,” Wilson said. Wilson received the 2018 military space Government Leader of the Year award during the 2nd Annual SpaceNews Awards for Excellence & Innovation in Washington. President Trump expects to submit his proposal for the Space Force in fiscal year 2020 to Congress in the coming weeks.